18 x 14 x 13 cm. This selenite, from a new find at Naica, really stunned me. 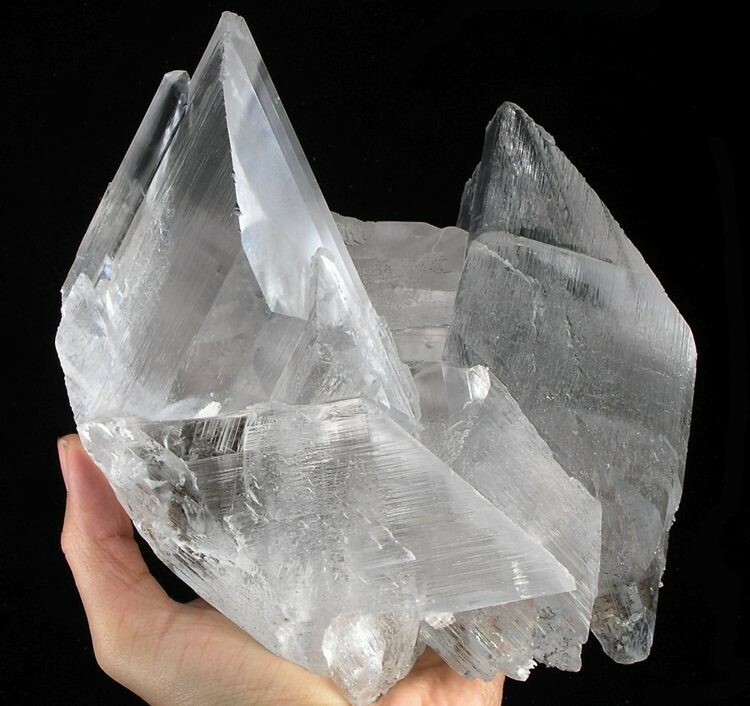 The crystals are huge and sharp, absolutely water clear, and the piece is just...dramatic. Weighing in at 5.7 pounds, this is a monster of a specimen and also of high quality. The piece is starkly 3-dimensional and it seems impossible it could have been mined underground and then safely shipped up here without damage but it is in fact pristine and complete all around. The doubly-terminated crystal on the right is 17 cm. These crystals are 5-6 cm thick and you can see right through them with no problems.